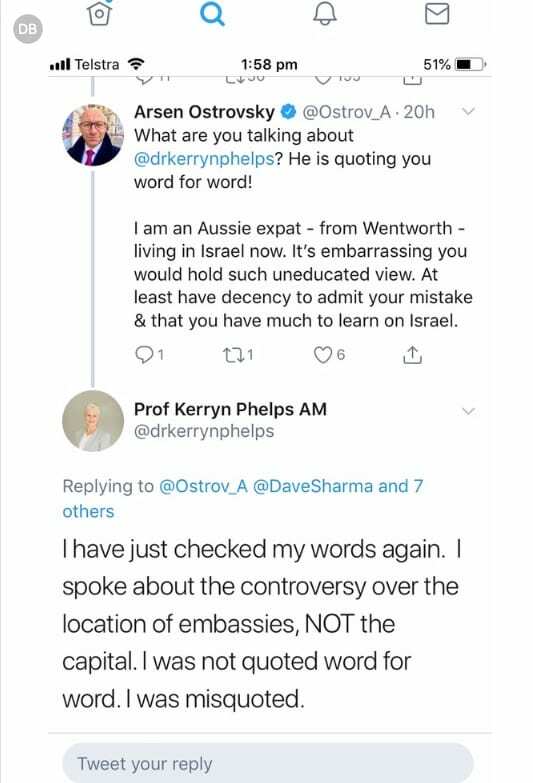 A supporter of the Federal Liberal candidate for the Eastern Suburbs seat of Wentworth Dave Sharma was blocked on Twitter for taking the incumbent Independent member Dr Kerryn Phelps to task for her remarks about Israelis’ feelings on Jerusalem being the country’s capital. 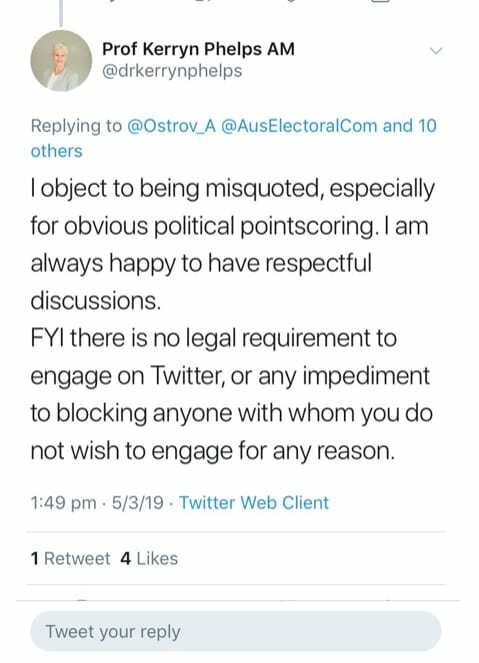 Middle East foreign policy analyst, international human rights lawyer Arsen Ostrovsky is based in Israel but is an Aussie expat from Wentworth. 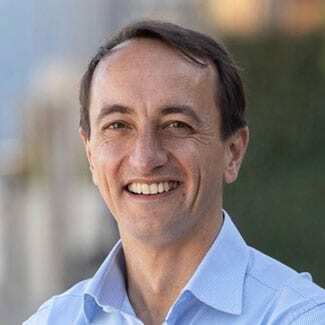 He backed Dave Sharma criticisms of Dr Phelps on Twitter…and found himself blocked by the politician. disrespect for me so I blocked him. I have since indicated that I am happy to have respectful discussions. Arsen Ostrvsky has since been unblocked. Sharma’s message was designed to mislead for political point scoring. And if you look at the twitter feed I did explain the misquote by Sharma and that I was talking about the controversy over location and timing of embassies in Israel, not the recognition of the capital. “One final issue is the free trade agreement to be signed today in Jakarta. You would welcome that, surely, given the difficulties at the end of last year when the prime minister floated the idea of moving Australia’s embassy in Israel. 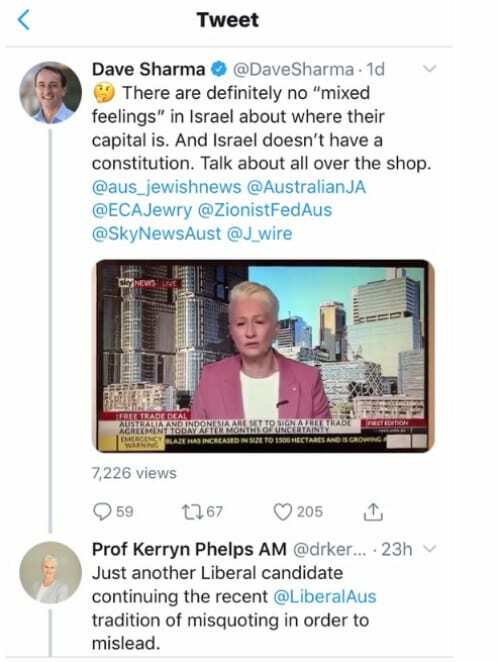 Kerryn Phelps: “The thought bubble about moving Australia’s embassy in Israel from Tel Aviv to West Jerusalem didn’t please anybody. “It was a very ill-considered foreign policy, it didn’t consider any of the security or trade or foreign policy issues that would come with such a decision so the Indonesian free trade agreement was delayed from the end of last year until now. Host: “There would be some voters in your electorate, this was aimed at Jewish voters – that would want to see the Embassy moved to Jerusalem. Do you agree? 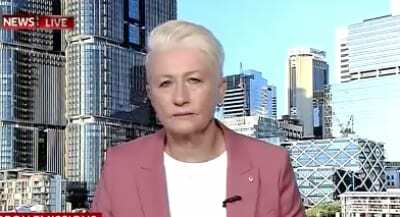 Kerryn Phelps: “There’s mixed feelings, even in Israel, about where embassies should be located. “So that is certainly an impediment to dividing the capital by foreign policy. “The other thing is that this is a very vexed issue because it does involve a two-state solution, which seems at this stage a long way off. Seems to me Phelps needs to do her homework. 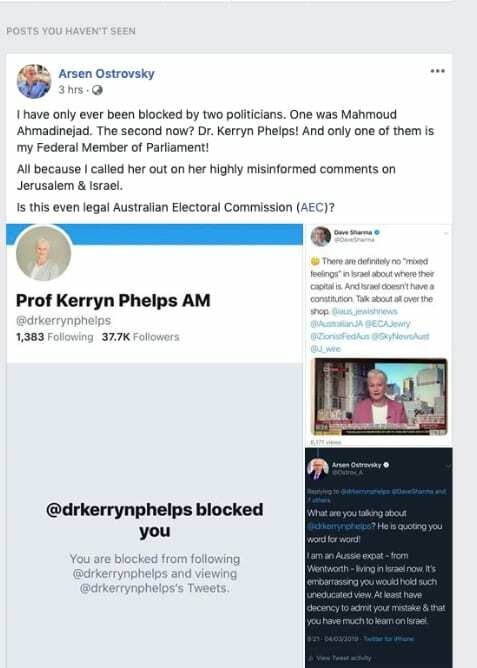 I live in Macnamara but I hope Prof Phelps wins in Wentworth in May 2019 but she will be fighting in a general election this time not a by-election. The Coalition are hopeless currently and it will take more sensible centre “doves” in the party to influence policy in the future and take it away from the extremist “hawks”. The Nationals leader is out of his depth badly. Sen Mackenzie would be a great National leader and she is from Victoria too. I for one would certainly be interested to read of others interpretations of THE QUOTE….made by Professor Phelps.